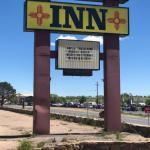 Regal Motel Las Vegas New Mexico is 10 minutesâ?? drive from Las Vegas Municipal Airport. Free WiFi access is available. Free parking is provided. Storrie Lake State Park is 10 minutesâ?? drive from Las Vegas New Mexico Regal Motel. Las Vegas National Wildlife Refuge is 13.3 km from the motel.